The Eesti Laul hits just keep on coming. Seven years after her last attempt, Laura was back with arguably her best ever attempt at Eurovision glory. The “Supersonic” lyrics might not make sense at the best of times, but the song covered that as it nailed the electro-pop sound dead on. Yet another Norwegian superfinalist, Laila Samuels’ “Afterglow” is another example of how wide open the field was in Melodi Grand Prix this year. Laila won our pre-contest poll, but ultimately finished fourth in the final. We’re still not entirely sure what that dancer was doing, but we still love Laila enough to put her in our top twenty. If this were Eurovision’s Next Top Male Model (National Final edition) then surely Mikael would storm to the top? “On It Goes” was Mikael’s grand return to UMK, three years after “We Should Be Through” was denied a spot at Eurovision by Krista Siegfrids. Much like in 2013, Mikael was a huge fan favourite internationally, but once again he had to settle for being the runner up, finishing in second in both the jury and televotes. Not something you’d expect to hear every day from Hungary’s A Dal, “Gyoz a jo” fused Eastern and Western influences together seamlessly. Unfortunately for Olah, he always seemed to be the bridesmaid at A Dal: he never topped the jury vote at any stage of the competition, but still never struggled. He can at least take solace in the fact he’s our top Hungarian NF song of the year though! Oh, poor Isa. After going in to this year’s Melodifestivalen as one of the favourites after her debut performance in 2015, it all went pear-shaped. With a total style overhaul and a much more serious entry compared to 2015, Isa narrowly missed out on making it straight to the final in her heat. Then, by a narrow margin of just 11,000 votes, SaRaha defeat her at Andra Chansen. “I Will Wait” showed us a different side to Isa, but we certainly hope that this isn’t the last we’ll see of her at Melfest. It’s getting brutal now, with only our top 15 national final songs left in the running. Are you still waiting to see your favourite in the running? Let us know in the comments and make sure to check back for our next update in the next couple of days! I can’t believe that you put Laura so low. “Afterglow” is a wonderful song, but Laila is much better as a composer than as a performer. With a better presentation, “Afterglow” could have won the Norwegian finals and had a good result in Stockholm. 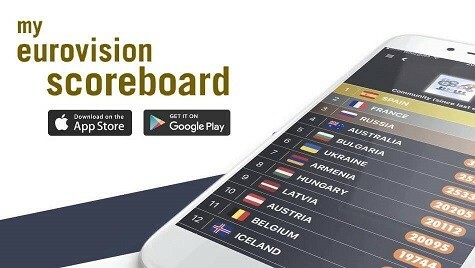 With “Icebreaker”, I suspect Norway will end up at bottom of the right hand scoreboard in the final. Why is “Aterglow” so low? I am waiting to see Oscar in the first. ISA deserves to be way higher on this list. ‘I Will Wait’ was, in my opinion, such a better song than all the acts in her heat, as well as Kizunguzungu. It’s really annoying that she got more votes than some of the winners in the 2nd Chance rounds. Sweden would have stood a much better chance with her powerful song. Mikeal should be back AGAIN! Afterglow should be so much higher. Laura doesn’t deserve to be on with such a bland song. Mikael was my first and will always be! Laura’s pretty high. Didn’t expect it to make the list tbh. Hope Flaka Krelani makes an appearance.